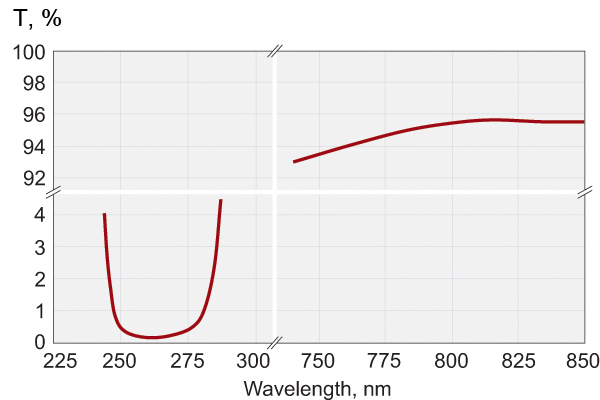 Harmonic separators are dichroic beamsplitters that reflect one wavelength and transmit the other. 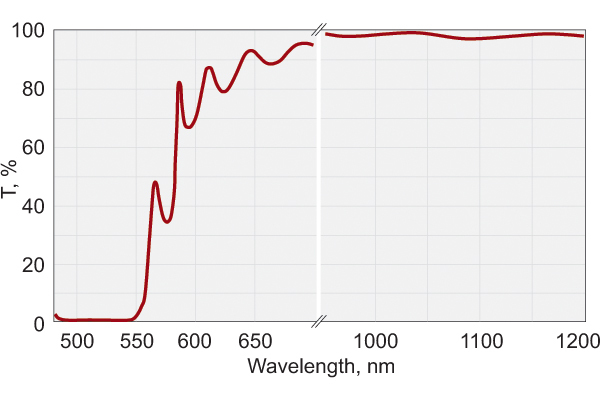 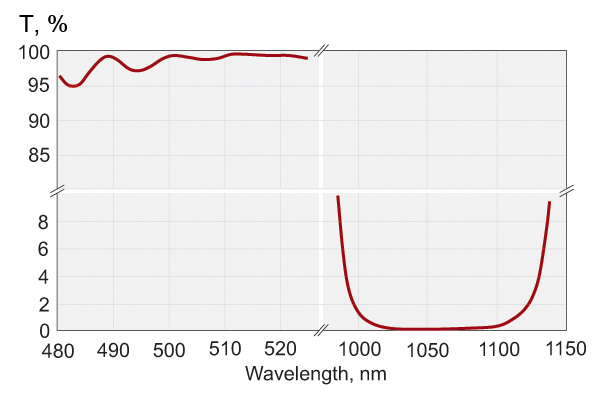 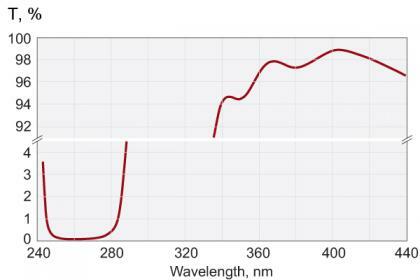 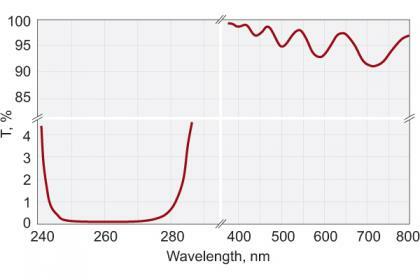 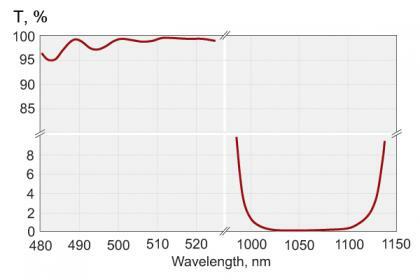 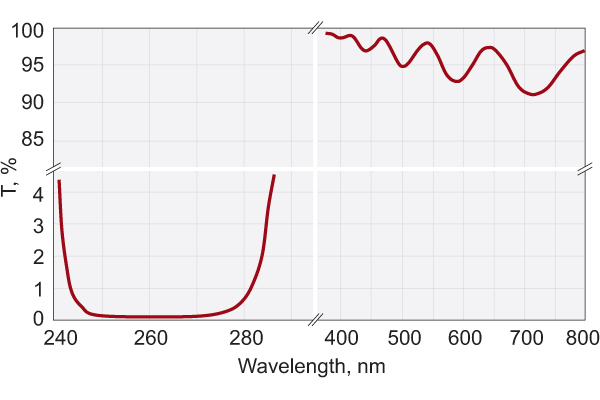 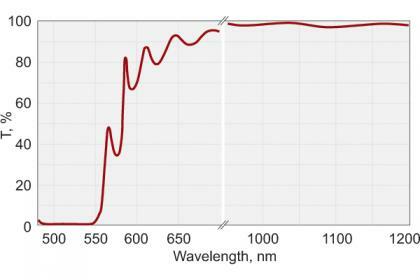 Reflectance is better than 99,5% for the wavelength of interest and transmittance is at least 90% for the rejected wavelengths. The rear surface of harmonic separators is antireflection coated. 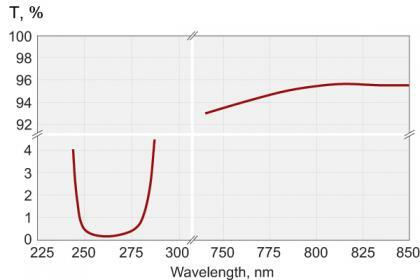 If possible use shorter wavelength for reflection and longer wavelengths for transmission in order to have higher reflection/transmission coeficients.